Identifying the rightful owners of a vast trove of art looted by the Nazis will be an enormous task, say experts. Identifying the rightful owners of a vast trove of art looted by the Nazis will be an enormous task potentially complicated by the German authorities' insistence on discretion, experts said Wednesday, according to the AFP news agency. The more than 1,400 artworks found last year stashed in the Munich apartment of Cornelius Gurlitt, son of a powerful Nazi-era art dealer, represent perhaps the largest discovery of missing 20th century art in Europe since World War II. But beyond its scope, its richness is staggering, with masterpieces by Picasso, Matisse and Renoir along with previously unknown works by modernist painters Marc Chagall and Otto Dix among its gems. Focus, the magazine that broke the story this week, estimated the value of the collection at $1.3 billion, a figure German investigators have declined to confirm. The German government and state prosecutors in the southern city of Augsburg assume that the Nazis stole the art from Jewish collectors, bought it from them for a pittance under duress, or seized it from museums as part of a crackdown on avant-garde "degenerate art." Gurlitt's father Hildebrand was one of a handful of dealers tasked by Nazi propaganda chief Joseph Goebbels with selling such works abroad in exchange for hard currency. The Holocaust Art Restitution Project posted a list on its Facebook page Wednesday of artworks seized from Hildebrand Gurlitt by U.S. forces immediately after World War II that were returned to him in 1950 after intensive lobbying. Many of the paintings appear to be those found in the Munich apartment last year, according to AFP. Because of the complexity of the research, Berlin has dispatched experts in Nazi-era looted and banned art to assist a sole art historian assigned by the Augsburg prosecutors in charge of the investigation to catalogue the works. They say they have opted not to publish a full inventory of what was found in Gurlitt's rubbish-strewn flat in February 2012 because it could violate the privacy rights of those asserting ownership and trigger a flood of frivolous claims. However, Chancellor Angela Merkel's spokesman Steffen Seibert, while stressing that the prosecutors were responsible for the probe, noted the moral obligation Germany had to reveal what it knows about the hoard. 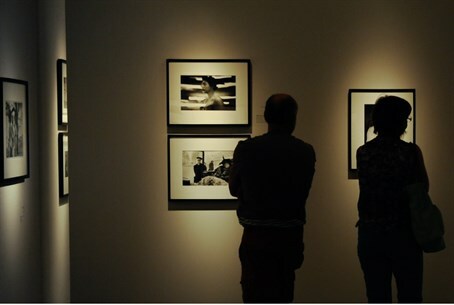 "The federal government is pushing with urgency, independent of the criminal inquiry, for information on confiscated artworks to be published for which there is already evidence that they were seized as part of Nazi persecution," he told reporters, according to AFP. During a news conference Tuesday at which slides of some of the Munich artworks were presented, Augsburg chief prosecutor Reinhard Nemetz put the onus on "those who think they lost artwork under the Nazi regime" to come forward. "Heirs, including the families robbed by the Nazis, can try to make legal claims," a restitution expert, Imke Gielen, was quoted as having told the daily Frankfurter Allgemeine Zeitung. But she noted that such procedures can be lengthy, complex and unpredictable. A Washington accord dating from 1998 covering art taken from Jews under the Nazis commits public institutions and large museums to do their utmost to return work to their rightful owners or their heirs. Earlier this week, a Swiss gallery denied any illegal involvement with Gurlitt. While the gallery, which is based in Bern, admitted to buying legitimate works from Gurlitt, it also stated that "the last business and personal contacts between the Galerie Kornfeld and Cornelius Gurlitt go back to 1990." Between 1940 and 1944, German forces seized an estimated 100,000 paintings, artworks, tapestries and antiques from the homes of Jews in France, stripped of their rights by the racial laws enforced by the collaborationist government. In 2007 a German expert published a book on looted art, estimating that thousands of masterpieces and tens of thousands of lesser works had yet to be restored to their rightful owners. Only last week, an investigation by Dutch museums revealed that 139 of their artworks, including a Matisse and two Kandinsky paintings, may have been stolen by the Nazis.